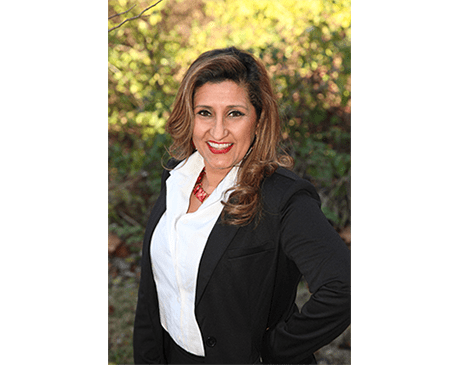 Uzma Ansari, DMD, of Lowes Island Dentistry in Potomac Falls, Virginia, gives her patients the highest level of general and cosmetic dental care in a friendly and conversational manner. Dr. Ansari received her Doctor of Dental Medicine degree from the University of Alabama in 1998. In 2001, she joined the United States Air Force with her husband, where she provided dental services for service members and their families for six years during Operation Freedom. She proudly wears her uniform every Veteran’s Day. Dr. Ansari believes in investing in each member on her team, providing continuous training and learning opportunities to enhance the level of care that Lowes Island Dentistry offers. She strives to provide a warm, friendly, and energetic environment to her patients. Dr. Ansari is often recognized for her service and achievements, both in dentistry and the US Air Force. She was nominated as the Headquarters Air Education and Training Command Junior Dental Officer of the Year in 2002 and recently received the Academy of General Dentistry Fellowship Award. Her commitment to education is reflected by her time as a Visiting Faculty Mentor at the Spear Education Center and CEREC DOCTORS in Scottsdale, Arizona, and at Virginia Commonwealth University School of Dentistry in Richmond, Virginia. Dr. Ansari is also a Fellow of Academy of General Dentistry. If you’re looking for a friendly, professional, honest dentist, book your appointment with Dr. Ansari online or call the staff at Lowes Island Dentistry today.